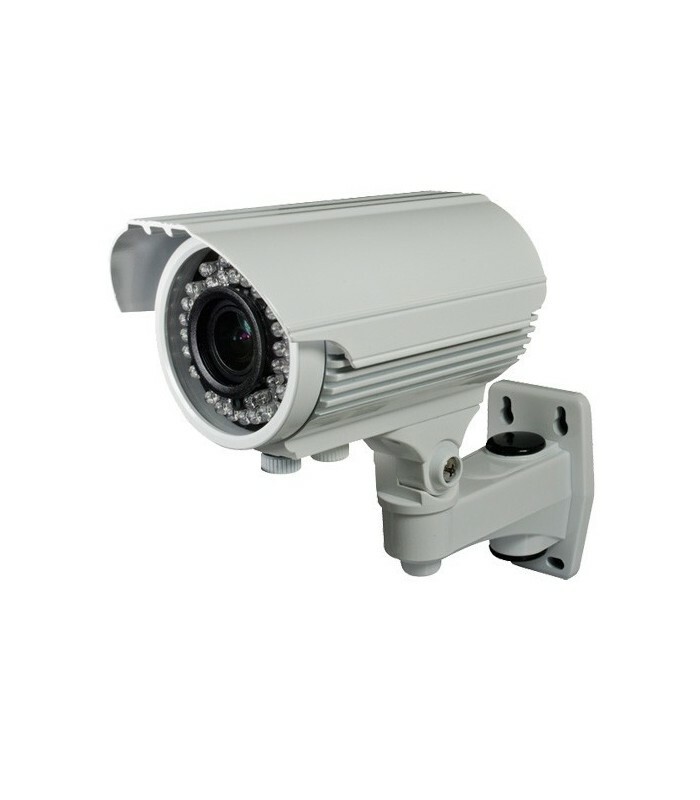 Camera Varifocal, HDCVI 720P with IR up to 40m, IP66 suitable for indoor or outdoor use. Allows high definition analog HD video via coaxial cable or UTP. Consisting of a sensor 1 / 2.9 "1.0 Megapixel Pixelplus © (PO3100K model) and DSP (DH9801 model), giving a resolution of 720p at 25 FPS. Varifocal lens 2.8 ~ 12 mm with a diagonal field of view of 94 to 25. 42 infrared LEDs that are activated automatically providing a sharp image at 0 lux (total darkness) to a maximum distance of 40 m.
It features automatic IR cut filter which gives a picture during the day with sharp, realistic colors. Auto white balance (AWB) and Auto backlight compensation (BLC). BNC video connection in HDCVI format.